Your tiis-ganda pair does more harm than you think. Whoever said shoes are a girl’s best friend should have been more specific—tbh, only good pairs are. Ill-fitting ones (aka those you bought on sale even though they’re not your size) will only leave your feet begging for mercy after a long day of walking and wandering. They can even give you bunions, corns, crossover toes, hammer toes, and ingrown nails—huge no-nos when wearing sandals and slides. If want to keep your tootsies happy, Vionic Shoes should be on your radar. Aside from being super stylish, their shoes are designed to alleviate heel pain and follow the natural form of your feet, making it totally possible for you to explore new places sans the pain and discomfort that always come after. Ditch your old flip-flops and step out in these Selena slides. They’re perfect for morning walks on the beach with bae or breakfast dates with your besties. Just pair them with a flowing dress, a straw hat, and a tote bag for an effortless yet chic look. 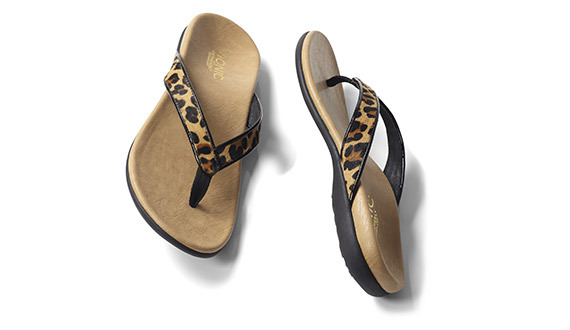 These Selena sandals have a lightweight, flexible EVA midsole that reduces stress on feet, ankles, and knees. 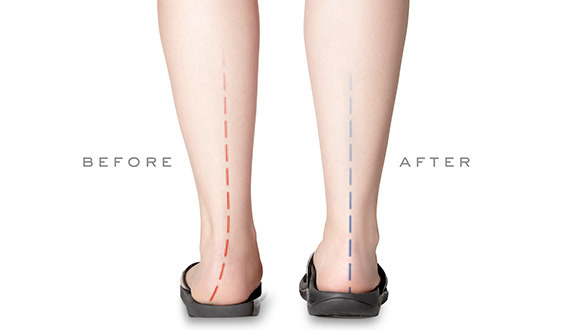 They also have a built-in orthotic, which is proven to help treat heel pain. Whether you’re planning to shop till you drop in Mongkok or explore every corner of Angkor Wat, your best bet would be these Minna ballet flats. Keep it feminine by pairing with an off-shoulder top and a button-down skirt, or with a striped tee and denim cutoffs for a relaxed vibe. Or if you prefer a more comfortable option, you can also channel atheleisure with these Fyn Active Sneakers. These Minna ballet flats are designed to hug your arches and support your feet's natural alignment. 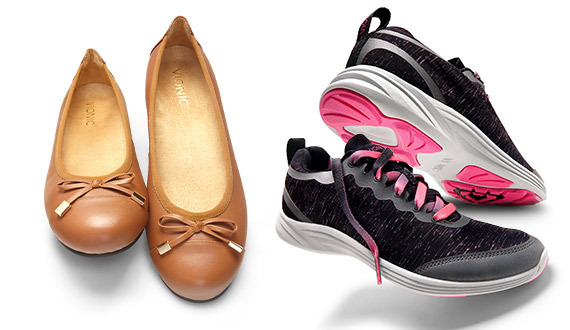 They also have leather uppers, and cute bow and toe cap details. The Fyn sneakers, on the other hand, have a sturdy midsole that adds stability to its wearer. It also has a breathable upper mesh to add extra comfort to your stroll. You can wear these ~*pretty*~ Lizbeth T-strap sandals with virtually everything—from wide-legged culottes and body-con dresses to wrap skirts and high-waist shorts. They’re a foolproof choice for late-night pub crawls with the gang or dinner dates with the boyfie. If you want to add height to your date night #OOTD, you can also slip on these Laurie wedges. Pair them with floor-length dresses and jumpsuits for that sophisticated feel. These Lizbeth sandals have metal embellishments and natural cork back-straps that are worthy of your attention. They also have a built-in orthotic that helps treat heel pain, and a flexible EVA midsole that absorbs shock. The Laurie sandals' timeless style will add a classy twist to your outfit with its leather and haircalf uppers and buckled straps. All Vionic footwear feature an award-winning orthotic which is also the world's first and only orthotic that is available without a doctor's appointment. The Orthotic is created by renowned podiatrist Phillip Vasyli who decided to provide cost-friendly, heat-moldable orthotics that help people suffering from heel pain by aligning their feet from the ground up. Vionic's science is based from peer-reviewed clinical study partially funded by the brand on people experiencing moderate and non-traumatic heel pain. It may take some time for the feet to adjust to all Vionic footwear so it is suggested to wait for the 7-day break-in period to see improvements. The brand also offers a 30-day money back guarantee. It has branches in Alabang Town Center, Trinoma, Greenbelt 3, Duty Free Fiesta Mall, SM Megamall Dept. Store, and SM MOA Department Store. Two new branches are also set to open at SM North EDSA Depatment Store and SM Makati Department Store on October 12 and 14 respectively. Hungry for more style inspo? Check out Vionic Shoes’ Facebook page and website.